We are a leading Manufacturer of Industrial Fasteners, Dowel Pin, Internal Circlip, External Circlip, Star Washer and Washer from Vadodara, India. Spring dowel,tapper dowel, dowel pin hard. Internal circlip & external circlip. Cutting oils & machine oil. All industrial item available here. The unbrako® fastener brand name is widely recognized throughout the world. Unbrako socket screws are used in machine tools, tools and dies, earth moving and mining machinery, and a wide range of industrial and engineering applications. Sold through technically qualified stocking distributors, unbrako socket screws are high-strength fasteners certified by unbrako to meet or exceed industry standards. We are offering a comprehensive range of bipico bi metal blade to our most valued clients. These are widely utilized in many sectors. Our products are highly admired for their superior quality by our clients. These metal blade are easily gettable at industry best rates. These Hot Dip Galvanized Fasteners are made using different grades of steel as per customer's requirement. These Hot Dip Galvanized Bolts and Nuts are taken to the Zinc materials. Our range of Hot Dip Galvanized Bolts and Nuts are available at industrial leading prices. We are offering the best range of O rings. Our rings are made with best raw material and cost effective. 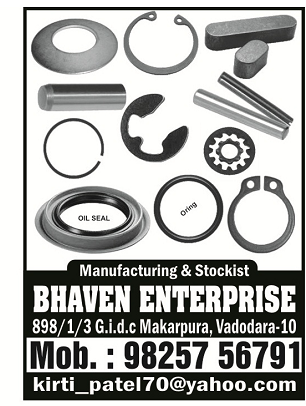 Offering a range which is used in all kind of o rings which are used in all automotive such as 2 and 3 wheelers. These are available in all sizes and as per the customers' requirement. We are presenting a wide gamut of welding rod to our most valued clients. These are available in 2.5MM,3.15MM,4MM,5MM Sizes Grade: 6013/7018 M.S. Our rod are widely used in various sectors. We provide these rod at market best rates.